There's probably a way to cook this on the grill too, now that it's summer. -Combine next 5 ingredients in sauce pan and cook. Gradually add cornstarch until thick. 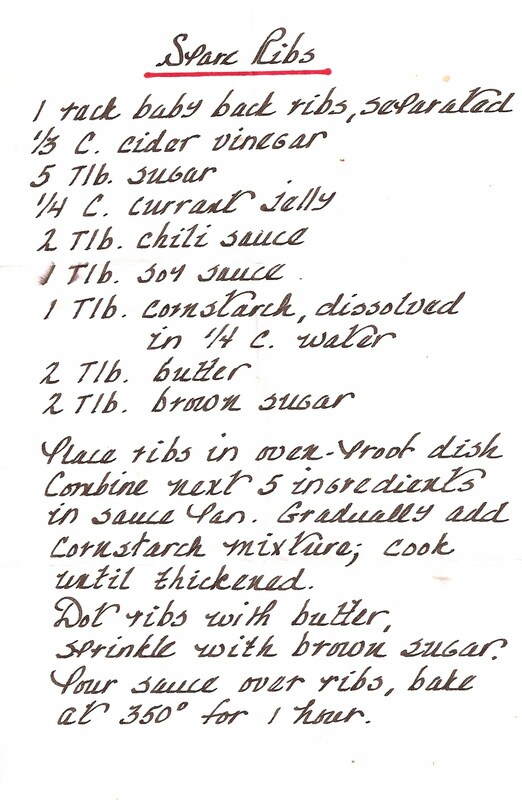 -Dot ribs with butter. Sprinkle with brown sugar.